There is no one on the modern day stage who is more of a superstar than Adele. Her emotional heartwarming songs have put her in the no 1 spot on charts for sixteen consecutive weeks. If that, and the many awards are not enough to prove that it’s not all about easy-to-the-ear pop, I don’t know what is.What makes this London girl so special is she is just that- a warm, normal girl who has an incredible character. Her interviews are witty and down-to-earth, and there is no distance between the reader and Adele- she is that friend who you just have a laugh with. 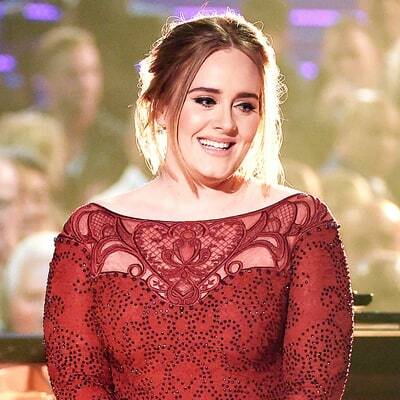 When it comes to style, so far, Adele has been faultless. Her amazing dress chosen for her by Anna Wintour received a lot of press- in fact, it was one of the many times that Adele stepped back to black. In most cases, a singer wearing black would not have looked good at all- with Adele and her thick hair and doe-eyed eyeliner it was the perfect combination for that soulful look. Her style look- black, big hair and vertical earrings. The post is dedicated to her, and wishing for her quick recovery after the surgery.